Home Asia	Why Was The Great Wall of China Built? 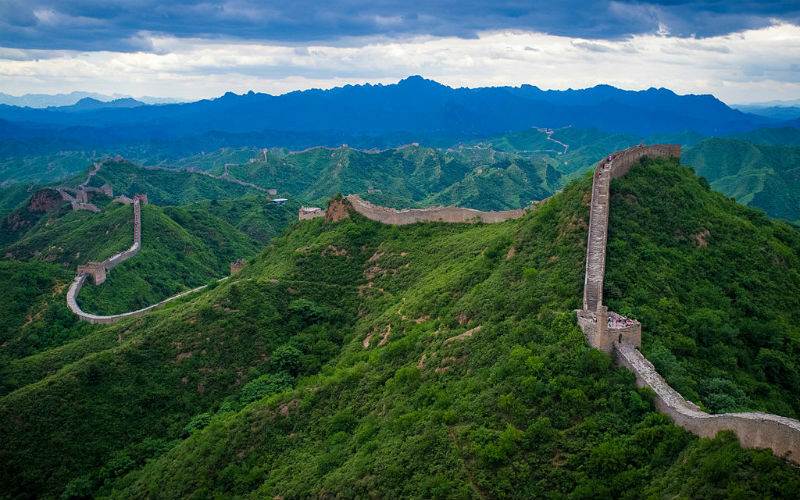 Considered to be one of the New Seven Wonders of the World, the Great Wall of China is a remarkable landmark that winds its way across mainland China. An awe-inspiring engineering feat that is perhaps best known for its sheer size and scale, it is an attraction that certainly shouldn’t be missed during a visit to this wonderful part of the world. 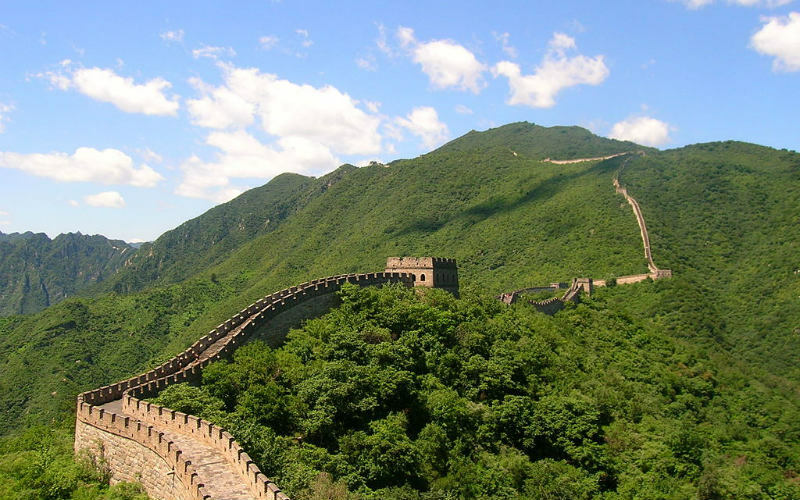 Comprised of a number of different walls and fortifications, the Great Wall of China was constructed by several different dynasties over the course of hundreds of years, from around the 3rd century BC through to the 17th century CE. The early walls were built independently of each other, but it wasn’t until much later on that they were connected to create the imposing and spectacular structure that we know today. Built over such a long period of time, some sections of the wall now stand in better condition than others, with some unfortunately having fallen into disrepair. Sections of the wall that were built later on typically made use of more sophisticated construction techniques, aiding their longevity. Primarily, the Great Wall of China was built to help protect the country’s states from invasion from outside forces originating from across Manchuria, Mongolia, and beyond. As the wall’s strength and length developed over time, so did its uses, with the mammoth structure’s beacon towers used to effectively share battle signals from one point to another and its incredible size helping to make the movement of battle supplies and reinforcements easier. The wall was also used as a means to protect the famed Silk Road trading route and those who chose to sell their wares across the region. As traders ventured further from the country’s larger cities, it became harder for their safety to be ensured, so the wall was additionally used as means for the Chinese to protect those who used the important trading route and its reputation. The Great Wall of China at Jinshanling, China. Image Credit: Severin.stalder / CC by SA 3.0. As some sections of the Great Wall have not stood the test of time due to erosion and the impact of human activity, it’s quite difficult to know exactly how long the wall was in its heyday, but current estimates place the length of the wall at around 21,196 kilometres. With restorations and archaeological discoveries taking place all the time, this estimate does wax and wane, depending on what findings are made and authenticated. The wall was also not constructed as a single cohesive structure, initially being built to protect specific areas of the country as needed, meaning that the actual size and scale of the wall can be quite difficult to calculate, especially when it comes to determining which structures qualify as part of the landmark. Can the Great Wall of China actually be seen from space? While many of us have heard that the Great Wall of China is the only man-made structure that can be seen from space with the naked eye, it’s likely that this isn’t the case. According to NASA, the wall is very difficult to see and photograph from space as the stones that were used in its construction blend in seamlessly with the terrain that surrounds it. Following the natural contours of the land, the wall sadly does not stand out enough for someone to spot without the aid of a camera or telescope. Dating back to the 1930s, this myth has certainly stood the test of time and the last few decades of space exploration. The Great Wall of China at Mutianyu, China. Image Credit: Laika ac / CC by SA 2.0. Can you walk on the Great Wall of China? Even though some parts of the Great Wall may not be in the best shape, there is still a large portion that can be explored on foot. 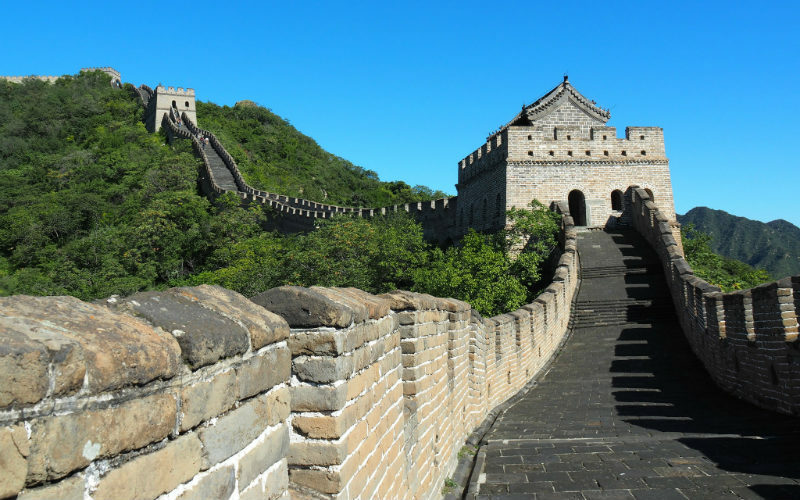 Some of the most popular and best maintained stretches of the wall are found close to Beijing, while others located further afield may offer more challenging conditions. Whether you’re wanting to get a feel for the iconic wall or are wanting to really challenge yourself, there’s an option to suit almost every interest, budget and fitness level. Do your research ahead of time, and be sure to consider the weather conditions and the realistic amount of time you have available for exploring. Where is the best place to see the Great Wall of China? Although the Great Wall of China covers more than 21,000 kilometres, some parts of the wall do offer a better experience than others. 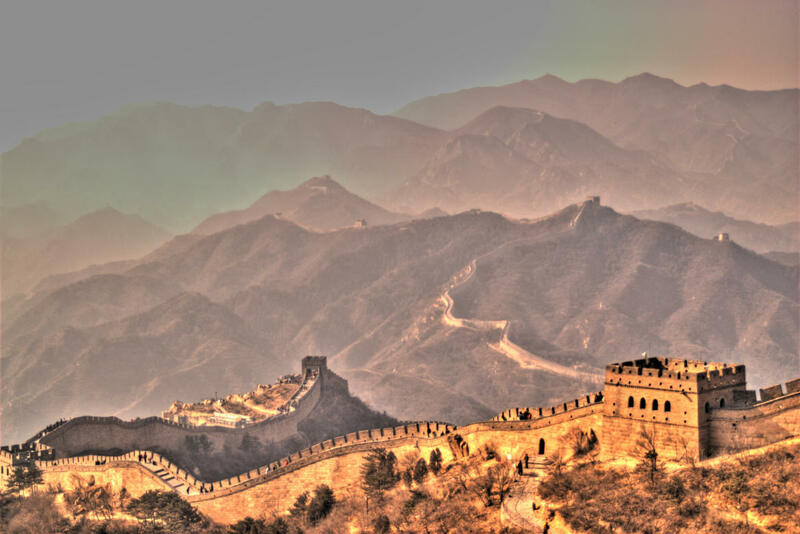 While there are so many to choose from, some of the best locations near Beijing include Juyongguan (home to an impressive fort), Mutianyu (a restored section of the wall), Shanhai Pass (a section of the wall that meets the sea) and Jinshanling (a quiet location that is the starting point for a popular Great Wall walk). If you have free time to spare or are travelling elsewhere in the country, there are plenty of other great spots that are well worth exploring, including Huanghuacheng (surrounded by beautiful lake scenery), Simitai (a section of the wall that retains its original appearance) and Gubeikou (the unrestored site of more than 130 battles). Whether you happen to be interested in the Great Wall’s history, it’s incredible construction or the spectacular scenery that surrounds it, there’s certainly no shortage of fantastic places to admire its sheer size and scale. The Great Wall of China at Mutianyu, China. Image Credit: Nicholas Perrault II / CC0 1.0. Ready to encounter the remarkable Great Wall of China? Secure your place on an unforgettable China tour with Webjet Exclusives today! Feature Image Credit: Jonathan Corbet / CC by SA 2.0.